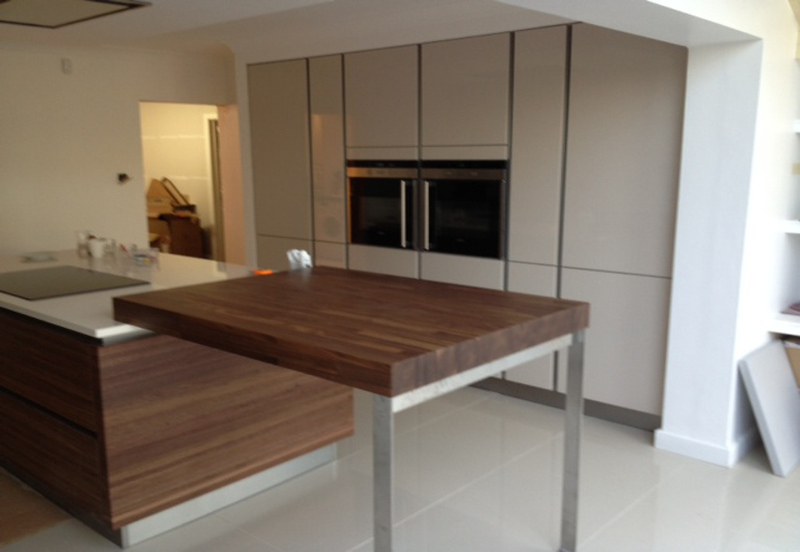 Next125 handleless Champagne high gloss units and island units in Natural walnut finish. 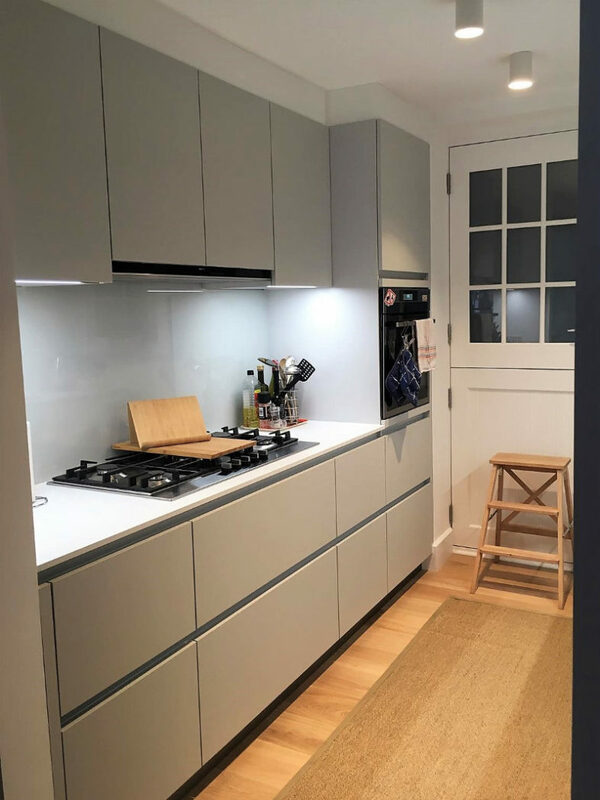 50cm high wall units with built in LED underlights. Ceramic hob on the island with ceiling extractor above. 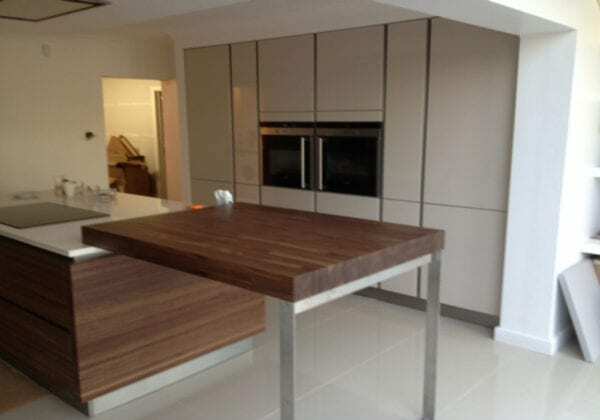 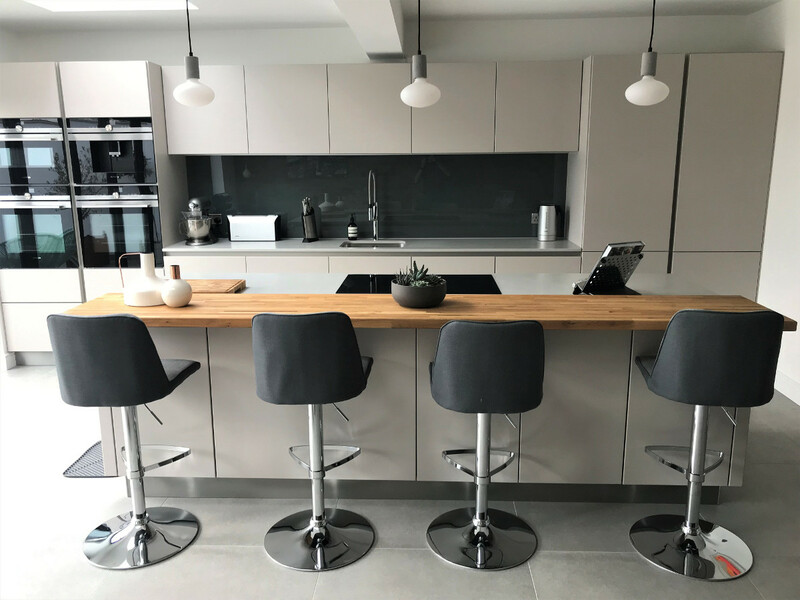 130cm long breakfast bar connected to island also in Natural Walnut finish. 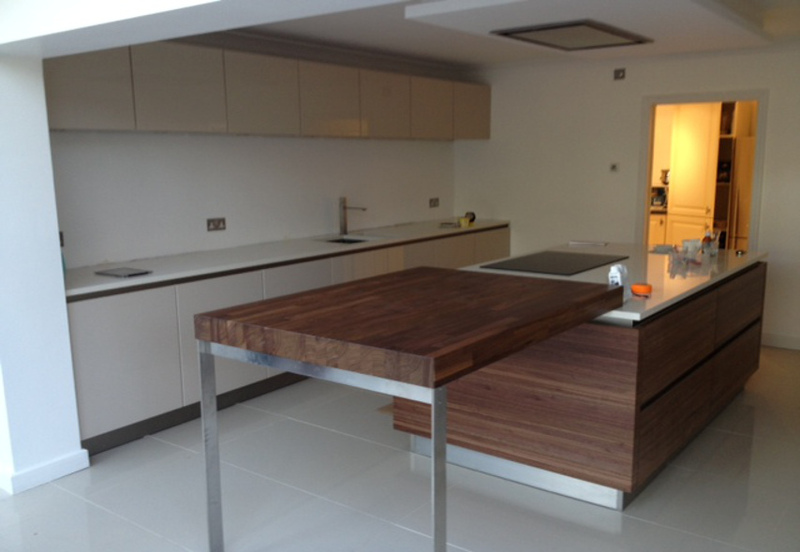 Two single ovens built into the tall units.